Co-founder and CEO of My Credit Guy, Sam Parker, joined CW Iowa Live last week to discuss some key tips you want to know when it comes to your credit score. Is it a good idea to co-sign for someone you know who is applying for a loan? Should you ask for co-signers on a loan you are applying for? What options do you have and what helps put you in the best position long-term? For those new to understanding what a co-signer is, a co-signer is applicable when a bank or lender of any kind tells you that you can only be approved for a loan if someone with a better credit score/credit profile is also on the hook for the loan if you don’t fulfill your obligation. Beyond being approved or denied, a co-signer may also be recommended to receive better interest rates on the loan being applied for. During this segment, Sam explores the variety of circumstances that could be at play when considering co-signing for someone or attempting to bring on a co-signer for a loan you are applying for. 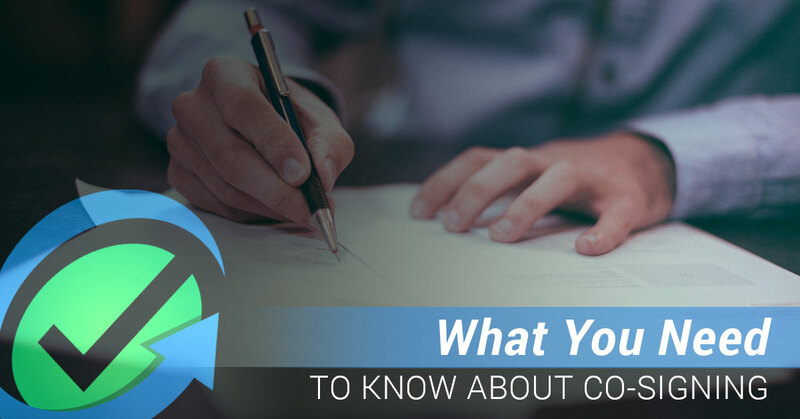 Typically, you will see a co-signer being most often relevant when it comes to student loans and auto loans, but it doesn’t exclusively fall under those categories. Those just tend to be the overwhelming majority of loan types where this is applicable. Can your credit score use some work? Are you trying to qualify for a loan, but have some obstacles in the way? Contact us today for a non-obligatory, free review of your credit report with one of our expert team members!